C-reactive protein (CRP) is a molecule produced in your body which is used as a marker of inflammation. Your liver produces this protein, the level of which rises during inflammation. CRP can be measured in the blood through lab tests. Though a high level of C-reactive protein is an indication of inflammation, the exact source of the inflammation — whether from a virus, an injury, or an infection — is not identified. A decrease in inflammation helps in lowering C-reactive protein. Several scientific studies have linked chronic inflammation with various health issues including diabetes, cardiovascular disease, metabolic syndrome, and arthritis. Further, recent studies have also demonstrated that excess blood sugar may result in an increase of C-reactive protein in the blood. What Does A High Level Of C-Reactive Protein Mean? A high level of C-reactive protein in the blood is an indication of inflammation, which a reaction by your body’s immune system. Inflammation can develop when the immune system triggers numerous physical reactions in response to infection or physical injury. Wounds, infections, and tissue damage heal through the inflammatory response. When a particular part of your body gets injured or affected by a harmful substance, inflammation helps to heal and protect the body by delivering more nourishment and defensive activity to the affected area. However, when inflammation persists after the healing process, it can do more harm than good. In fact, chronic inflammation can lead to various diseases, including rheumatoid arthritis and certain types of cancer that can cause damage. The various symptoms of chronic inflammation include fatigue, chest pain, joint pain, fever, mouth sores, abdominal pain, and rash. High CRP levels can also indicate inflammation of the arteries in the heart, which means the risk of a heart attack is elevated. The level of CRP rises under inflammatory conditions. Several studies have linked elevated CRP levels with increased risk of heart disease and type-2 diabetes. According to the Physicians’ Health Study, high CRP levels raised the risk of heart attacks by three times, even in healthy adult men who had no previous history of heart disease. The Harvard Women’s Health Study suggests that, as compared to high cholesterol, high CRP levels increased the risk of stroke and coronary conditions. Various tests are used to measure the CRP level in the blood, which helps in the diagnosis of inflammatory autoimmune diseases such as rheumatoid arthritis, lupus, and inflammatory bowel disease. Recent studies demonstrate that excessive blood sugar may cause an increase in the level of CRP in the blood. Escalated CRP level is a marker of inflammation. Therefore, reducing inflammation in the first place helps in lowering C-reactive protein in your blood. Studies indicate that whole plant foods, being rich in antioxidants and flavonoids, possess potent anti-inflammatory and protective properties. Whole fruits, vegetables, and grains are packed with fiber, which helps with lowering C-reactive protein by slowing the breakdown of carbohydrates and glucose absorption in the bloodstream. Therefore, eating plant-based food is a natural way to reduce the level of this protein in your blood. Further, research suggests that a healthy dietary pattern plays a significant role in lowering CRP levels. The Mediterranean diet has been shown to be of considerable help in lowering inflammation, thus reducing the level of CRP. The diet consists of fresh whole foods, including vegetables, fruits, whole grains, fish, various types of nuts, and seeds. Regular exercise, a balanced diet, and staying away from tobacco can also help keep the protein level in check. There are certain drugs that can lower your CRP level. But their side effects outweigh their benefits. Therefore, natural methods are considered much more safe and effective to reduce your CRP level. Diet plays an essential role in shaping your overall health and well-being. Anti-inflammatory foods are rich in antioxidants, essential fatty acids, and minerals that help fight inflammation and cut down on the risk of various health issues. They provide your body with the required nutrition and promote natural healing. Therefore, choosing the right food can greatly help reduce inflammation, which in turn can assist in lowering C-reactive protein. Further, studies demonstrate that people who eat foods rich in dietary fiber have a lower risk of elevated CRP level by up to 41 percent when compared to people who did not consume at least the minimum of fiber. Stress activates your inflammatory response, thus causing the CRP level in your blood to spike. Poor sleep can induce stress and leave you feeling fatigued. People with Adrenal Fatigue Treatment tend to have a high level of C-reactive protein as they often suffer from insomnia and feel stressed. Further, studies show that stressed people with poor sleep habits have high CRP levels. Getting adequate sleep relaxes your body and help fight stress. Regular physical activity has shown to lower CRP levels. It also helps to get rid of fat cells, which are deposits of pro-inflammatory cytokines. Remember to keep away from any strenuous exercise such as powerlifting, as this may trigger symptoms of inflammation. Inflammation is a vital part of the healing process as it helps fight illness and protects the body from any further harm. However, when inflammation continues even after the recovery process, it can cause harm and lead to various health problems. One of the best ways to prevent or minimize inflammation is to opt for an anti-inflammatory diet, as it can greatly help fight inflammation the natural way. The diet involves consuming certain foods that help reduce the inflammatory response and staying away from other foods to minimize the symptoms of inflammation. Refined and sugary foods are replaced with nutrient-rich whole foods. Moreover, the diet contains a high amount of antioxidants, which help reduce the free radicals that are responsible for cell damage. Turmeric contains curcumin, which has powerful anti-inflammatory properties. Research proves curcumin as the most potent anti-inflammatory agent. Recent studies show that curcumin can significantly help reduce inflammation in people with rheumatoid arthritis, thus lowering C-reactive protein in the blood. They are rich in antioxidants that help restore cellular health and anti-inflammatory flavonoid. Leafy vegetables are also rich in other vitamins, such as vitamins C and K.
Celery is rich in antioxidant and anti-inflammatory properties which help in improving blood pressure and cholesterol levels and reduce the risk of heart disease. It is an excellent source of vitamins, minerals, and antioxidants. 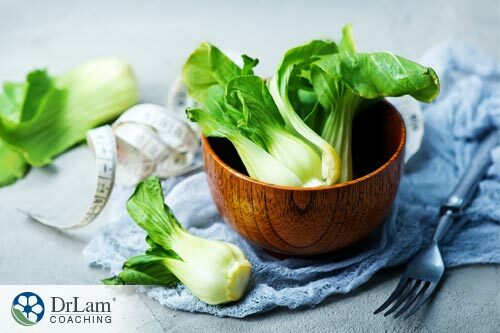 Studies reveal that bok choy contains over 70 antioxidant phenolic substances that help remove free radicals from the body. This versatile vegetable goes well with almost any dish. Besides being are extremely rich in antioxidants, beets also contain calcium, magnesium, potassium and vitamin C, all of which help boost immunity. These deeply colored vegetables with high anti-inflammatory properties help in repairing the cells damaged by inflammation. Pineapple contains bromelain, which helps in regulating immune response and reducing inflammation. It is also rich in magnesium, potassium, and vitamins B1 and C, which help prevent several diseases, including cardiac problems. Atherosclerosis and heart disease have been linked to rises in CRP. Smoking, high cholesterol, diabetes, high blood pressure and aging all contribute to atherosclerosis, which injures the blood vessel walls, leading to plaque formation and triggering inflammation. The blood vessel lining of the heart narrows with the gradual accumulation of cholesterol, blood vessels of inflammation and debris of injured cells leading to plaque formation. Narrowed blood vessels can cause the walls to rupture, leading to stroke and heart attack. An elevated CRP level has been linked to the risk of cardiovascular disease. Lowering C-reactive protein can help cut down this risk. However, a high CRP level alone cannot be considered as a risk factor. Cardiovascular problems can be caused due to diabetes, high blood pressure, high cholesterol, obesity, smoking, and family history of heart disease. Stress can activate the inflammatory response of your body. Inflammation is a part of your body’s immune system. It protects your body from the effect of harmful substances and helps in healing. However, more inflammation can be potentially destructive, causing various diseases and harming your body. The NeuroEndoMetabolic (NEM) Stress Response is your body’s natural defense mechanism. During stressful conditions, the NEM signals your adrenal glands to secrete an anti-stress hormone, cortisol, to keep inflammation in check. This helps your body to regain its normal state after stress subsides. However, with repeated stress, your adrenals need to secrete more cortisol. Eventually, the adrenal glands get overburdened and lose their hormone secretion capacity. This reduces your body’s stress-fighting ability and inflammation persists when it is no longer needed, leading to fatigue and a rise in the level of C – reactive protein in your blood. Frequently experiencing extreme fatigue along with symptoms of brain fog, insomnia, difficulty in waking up, low energy levels, drop in concentration level, anxiety, or a craving for salty and fatty foods can be due to AFS. The level of CRP in the blood rises with various inflammatory conditions including joint, heart, and digestive problems. Research shows that lowering the level of inflammation in the body can significantly reduce the risk of developing a heart attack or a stroke. Adopting certain lifestyle and diet strategies can help provide relief from inflammation as well as lowering C-reactive protein. Sugar has little nutritional value when compared to its health benefits. Excess sugar intake can stimulate your immune response, which in turn can raise the level of C-reactive protein in your blood. Cutting down on your sugar intake can help address the problem. 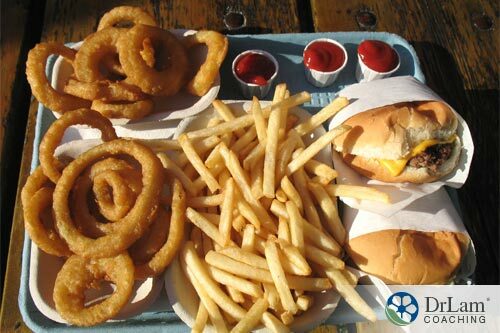 The standard American diet includes a great deal of saturated and trans fats which can contribute to inflammation. Animal fats such as whole-fat dairy and red meat are sources of saturated fat. Partially hydrogenated oil and artificial fats from pastries, crackers, and other processed and packaged foods contain trans fat. Rice and other grains have been refined, which means they break down quickly into sugar during digestion, leading to inflammation. Several processed foods and whole grain products can contain wheat protein gluten, which may cause inflammation in those with celiac disease or gluten sensitivity. Instead, consider going for unpolished grains as they come complete with valuable nutrients. Next Post: Christ Revealed In You!